The advanced iOS 11 comes with a plethora of neat features and it allows you to optimize the storage space in your device. 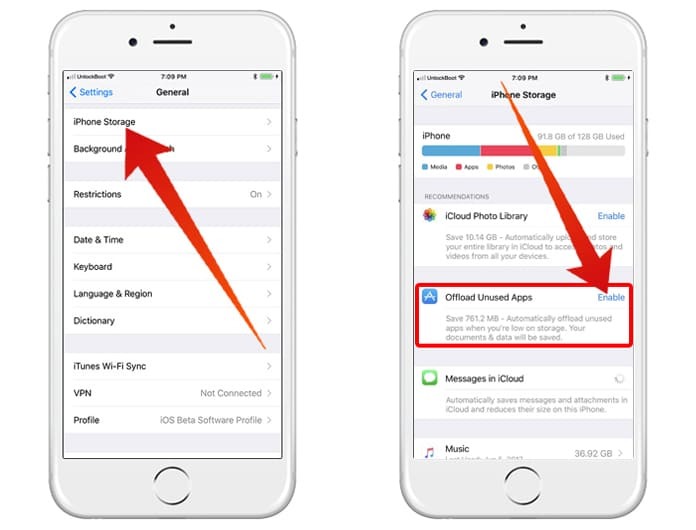 To do this, you can remove the unused apps and other data from iOS 11 in your iPhone and iPad. 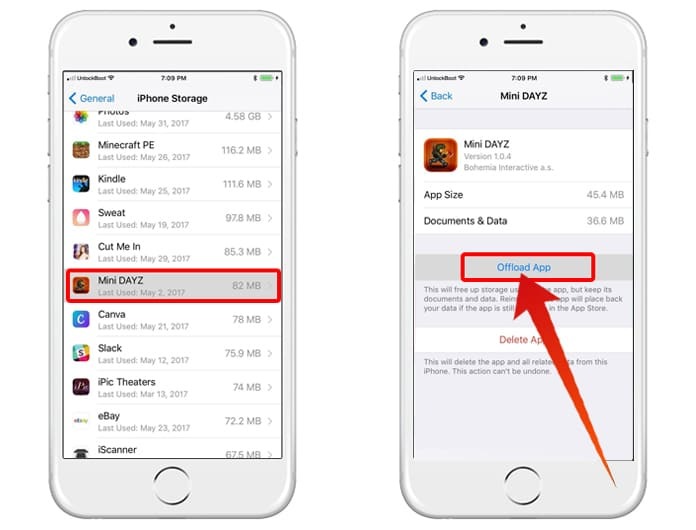 In this article, I will tell you how you can delete unused apps without changing the data and settings in your iOS 11 device. I am sure this feature will help most of your who own an iPhone or iPad because we all need some extra amount of space to store our files and other stuff. Have you ever faced a situation when you tried to download a new app or save an important picture and the phone tells you that it lacks storage space? This can be a very frustrating experience. To save yourself from this frustration, it makes sense that you get rid of unused apps in your iOS 11. 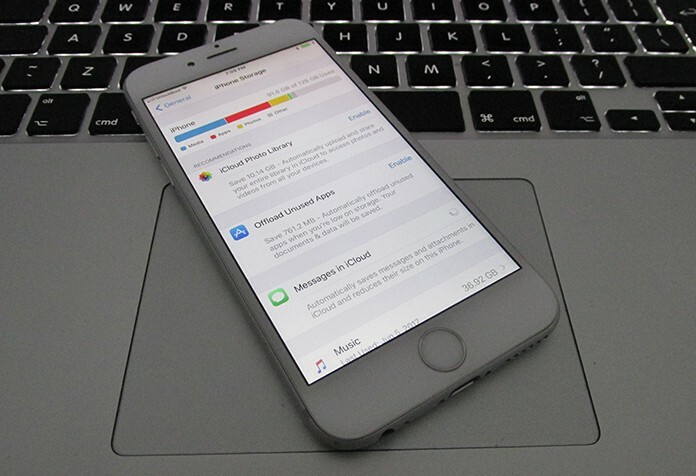 You first need to launch the Settings app on your iPhone or iPad. To do this you need to tap on General. In the settings page, you need to tap on the feature that says ‘iPhone Storage’. Next, you will need to tap on the apps that are rarely used and which you would better like to remove from your system. Lastly, you need to tap on the Offload App and then confirm it. Go to Settings app on your iOS enabled iPhone or iPad and select the option that says General. Next, you need to tap on the iPhone Storage feature. In the next step, you must tap on Enable next option to remove the Unused Apps. The latest iOS version comes with a Signing Off feature which is really useful. The documents and data will be stored on your device, and whenever you reinstall the app, all the information will be restored on your mobile device automatically. This advanced feature comes really handy as it helps in de-cluttering the device. It is a smart feature that saves your device from getting too crowded. If you want your iPhone or iPad to work efficiently then we suggest that you keep a regular check on your apps to ensure that the ones that are rarely used can be removed. You must regularly clean your system and while cleaning, if you discover any app that has not been used for a while or you may no longer need anymore, it is better to get rid of it. Given the fact that the data remains secure even after you have deleted them from the system, you will be on the safe side. To make the best use of the advanced features in the all new iOS 11, we suggest that you explore it as this can help you learn more about it.